Ace and Mark talk about a case of a vehicular accident that is being charged as murder. Adam then laments about the power continuously going out in his neighborhood and having Mark and Paulette gone during the blackout. Mark and Adam then talk about what drives Mark crazy about prosecutors. 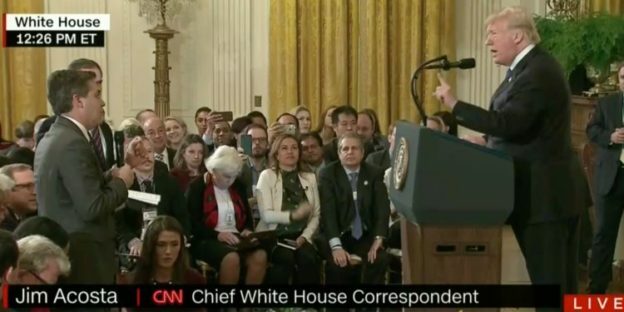 They then talk about the inconsistencies with outrage over the first amendment and as the show winds down they move onto to the recount controversies and CNN’s & Jim Acosta’s lawsuit filed against the White House. This entry was posted in Episodes on November 16, 2018 by reasonableadmin.